Welcome to what is without any doubt one of the biggest dancefloor twelves of 2009. 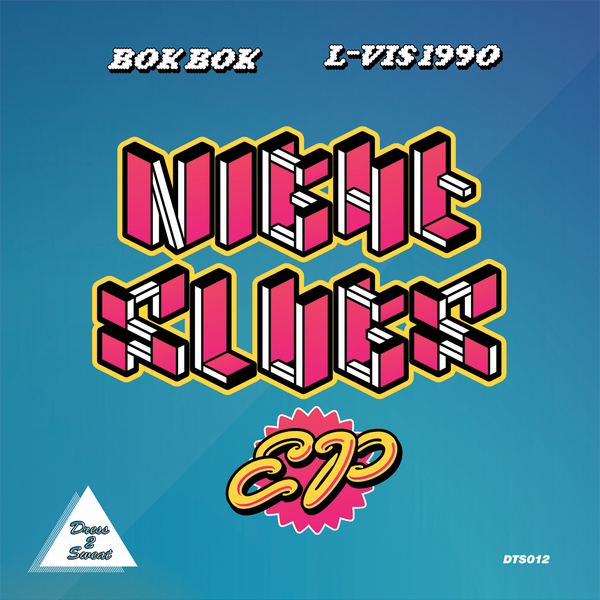 No amount of online hype could exceed the chest-largin' and excitable chatter we've given this record personally in the safety of our own office, probably boring mates and family to death with the names of Bok Bok and L-Vis 1990. Between them this year, they've released on Mad Decent, remixed Crazy Cousins, prepared a forthcoming Fabric selection and pumped out a succession of the most crucial dancefloor mixes you'll find anywhere on the internet, therefore demanding your attention right about now. While both producers have their own sound - Bok Bok: grimy, ruffneck house & L-Vis, rolling tribal rave - they can be largely tied in to the UK Funky movement with a sweet-like-tropical blend of garage, house and dubstep, ruffly around 128bpm. They've been given the honour of releasing the very final Dre$$ 2 $weat EP, before the label becomes amalgamated into the all-powerful Numbers empire, serving out four of the most sought-after tracks of the year. On the A-side, Bok Bok wheels out the bass-bombing B-moreXFunky mutation 'NNTF 2009', next to the ridiculous Roska-style banger 'Ripe Banana'. On the B-side L-Vis rolls out the carnival-ready anthem 'Run', and the tribalist skanker 'Hide'. Each track is an anthem in it's own right, and if you've been paying any attention to the scene of late, you've probably copped them at some point. Sleep and weep people. It's a par!